Enjoy these not-so-secret areas for running (and eating afterwards). (SPOT.ph) Running is never easy—whether it’s running away from our problems or chasing after our dreams. Kidding aside, actual running—lacing up your running shoes, bringing a bottle of water, and breaking a sweat—is easier than Pilates, yoga, boxing, or swimming. If you think about it, you don’t have to invest too much. 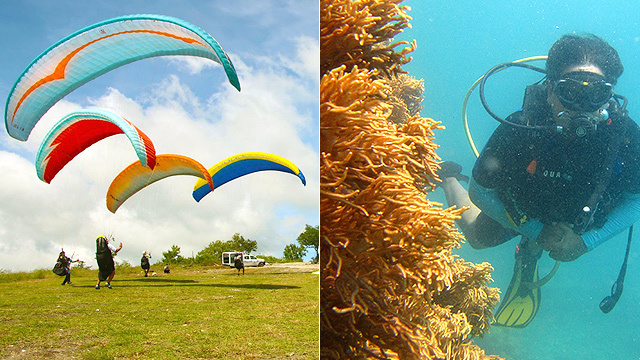 It’s also a great way to release endorphins, reduce stress, boost self-esteem, and improve sleep. 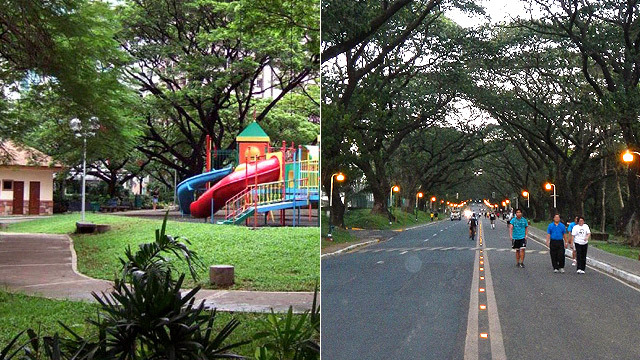 We suggested 10 Great Places for Running in Manila in 2015, but here’s a list of more great places for running in the Metro. If you’ve got no motivation to run, you can run for food (like we all do). These places have restaurants around them where you can go for post-run treats. Just make sure to choose healthy! Bring a running buddy to make exercise more fun and motivating. Quick reminder: Always do dynamic warm-ups before your run and cool down by stretching afterwards. Bring water to keep yourself hydrated and don’t eat too much before running. The Run: With just five rounds around the Acad Oval, you’ve already completed a 10-kilometer run with a one-kilometer warm-up and cool-down combo. 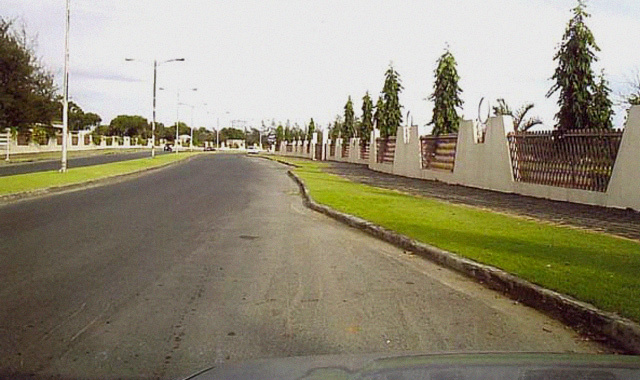 This is the main and largest road that connects the different colleges of the university. The best part is that the school allots space for runners and cyclists so your safety is guaranteed. Post-run meal: You can drive to UP Town Center for your post-run snacks. We recommend Backyard Kitchen + Brew for their Salted Egg Chicken Skin, which is as sinful as it sounds. You know, just when you feel like indulging! The Run: Many cyclists and runners frequent Seaside Boulevard for their weekend routines. It’s best to run in the morning before cars fill up the parking space. If you start at One Esplanade and make your way to the Mall of Asia Arena, that’s already 1.2 kilometers. Do five rounds and you’ve completed a five-kilometer run. You can also join free Zumba or aerobic classes in the morning. Post-run meal: After your early morning run, you can grab breakfast at the Biker’s Café, which opens at 5 a.m. Order their pancakes or beef tapa! 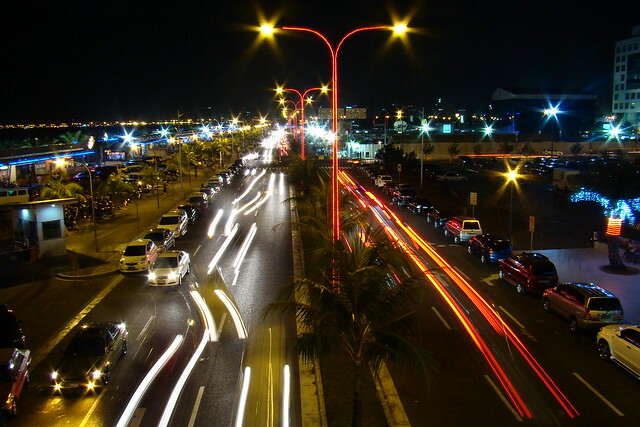 The Run: Roxas Boulevard gets very busy on weekend mornings. People run, play Frisbee, bike, do aerobics or Zumba, and have a game of badminton, tennis, or volleyball. There are designated spots for certain sports; you just have to choose one. Runners might find the CCP Ramp a challenge. Just a few rounds on the ramp can get your heart pumping and your sweat pouring. Post-run meal: You can check out the fast-food chains and restaurants at Harbor Square just across CCP. Tajima Yakiniku is perfect for evening runs since it's open until 11 p.m. 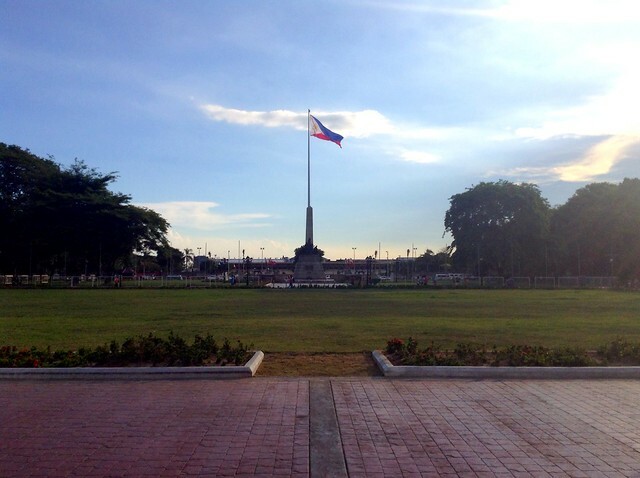 The Run: Begin at the foot of Jose Rizal’s monument and do a U-turn before you reach Ma. Orosa Street and go back to the Rizal Monument to make a full circle. If you complete a whole round, that’s about 1.1 kilometers. You can go from five to 10 rounds. It is best to run in the evening since it can get pretty hot. The park can get a bit crowded but there’s music playing around the fountain for your entertainment. Post-run meal: There's an Amber branch along Kalaw Avenue just across Luneta Park. It would be hard to resist their pichi-pichi! 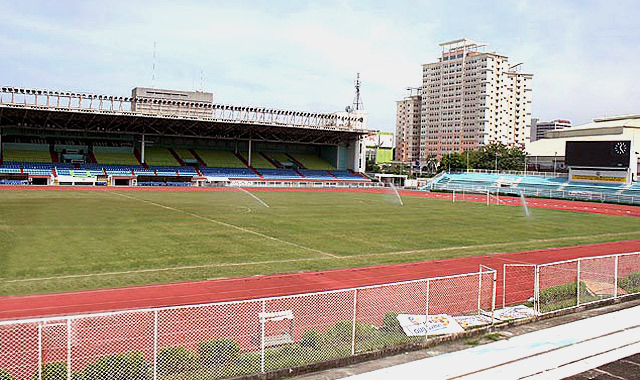 The Run: The Rizal Memorial Sports Complex has been around for 83 years and has since hosted a variety of events. 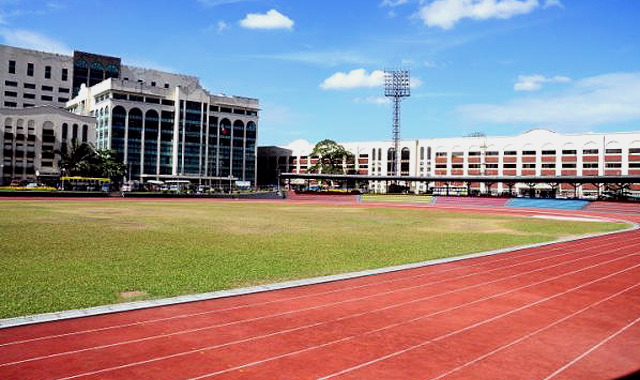 If you want to feel the competitive spirit, Rizal Stadium’s track oval is open to the public for jogging and running. Just pay the P35 entrance fee and you’re all set. Here, you won’t have to worry about busy streets or pollution. Post-run meal: Since the Sports Complex is near schools, you have a wide variety of restaurants to try. Grab a bite at Zark's Burgers right in front of De La Salle University - Manila. The Run: Heritage, like most memorial parks, is frequented by many joggers and sports enthusiasts. Since it is open to the public, you can run around a specific area or explore the whole park. It’s also a good training ground for cyclists. Post-run meal: Try L.E.S. Bagels, which is open by 6 a.m., on Upper McKinley Road, McKinley Hill. Enjoy their variety of cream cheeses in any bagel. They also have sandwiches and salads! It’s a great breakfast treat. 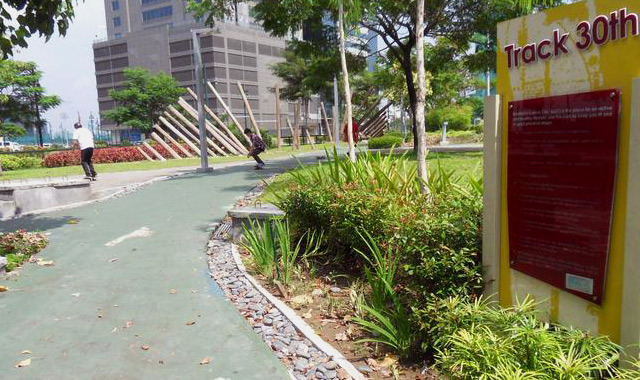 The Run: This fitness park features a paved path of about 310 meters in length. It’s open from 6 a.m. to 10 p.m. daily. If there are too many people jogging, you can always run outside the park to avoid other runners. If you feel 310 meters is not enough, you may want to check out other roads within Bonifacio Global City. Post-run meal: If you want meals packed with energy, eat at Recovery Food at BGC Stopover. Order their best-seller, Tapa de Morning, which is made up of homemade tapa, scrambled or fried egg, ensalada, and rice (either brown or white). The Run: You can already do sprints, brisk walking, or jogging as soon as it opens at 5:30 a.m. You can shower after your run or go for a swim just across the oval (P60/entrance fee). Philsports is also frequented by triathletes for running, swim training, or team meetings. Remember to check if there’s no tournament or event happening before you visit. The arena is open until 9 p.m. and has an entrance fee of P35. Post-run meal: You have Capitol Commons or Kapitolyo for food choices. Our recommendation is Kanto Freestyle Breakfast located at 1st Street, Kapitolyo. You can choose from their staple breakfast offerings or do a freestyle breakfast by choosing your own viand. 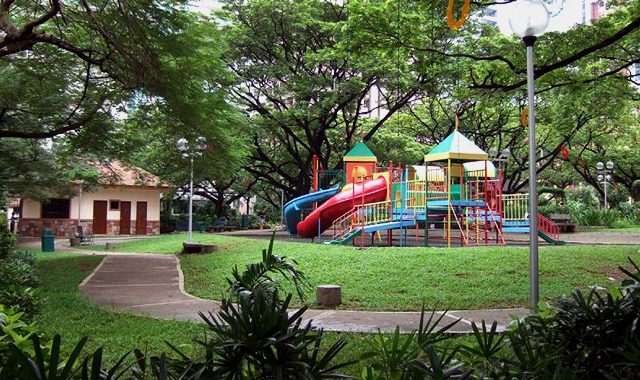 The Run: Apart from walking your dog or letting your children play, you can hit the Salcedo Park grounds for your morning runs. Best time to run is on Saturday mornings (for food). Go around the park at least 20 times to be sure you get a satisfying workout. Afterwards, stretch those legs or bring a 30-minute workout video that you could do for additional calorie-blasting exercise. Post-run meal: The Salcedo Saturday Market is open every Saturday from 7 a.m. to 2 p.m. After your weekend run, you can shop for next week’s supply of organic produce, ingredients, and international specialties. Food options range from healthy to tasty. We recommend trying the burger, ginger ale, or Japanese pancakes! 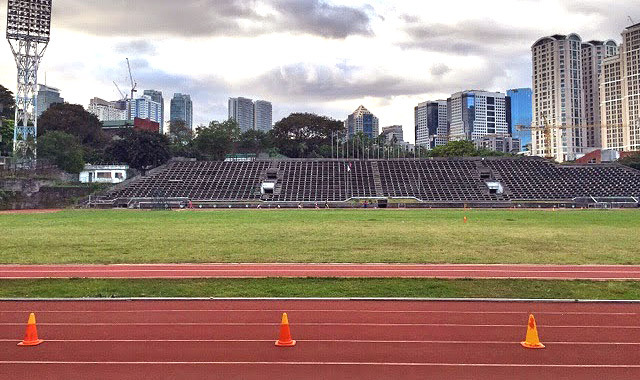 The Run: Do your weekly speed training at the University of Makati’s track and oval field. If you’re preparing for a marathon, you can do 10 sets of the following: one-minute walk, two-minute jog, and 30-second sprint. It is open to the public from 5 a.m. to 8 a.m., then from 5 p.m. to 8 p.m. daily. Makati residents pay P30 and non-Makati residents pay P40 (P50 on holidays). There’s a separate cost if you need to use the shower (P50). Post-run meal: There are a few options around the university so it’s best to look for a place to eat around Rockwell. If you want to feast on Japanese food, check out Ooma in Rockwell Edades. 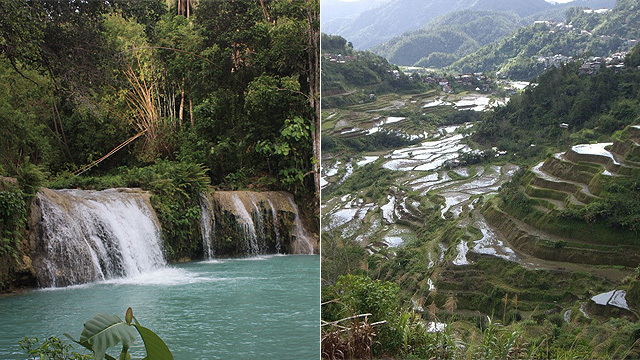 Photos by penreyes, Kate Palaña, Jun Acullador, and Jason Audrey Licerio are embedded from Flickr.